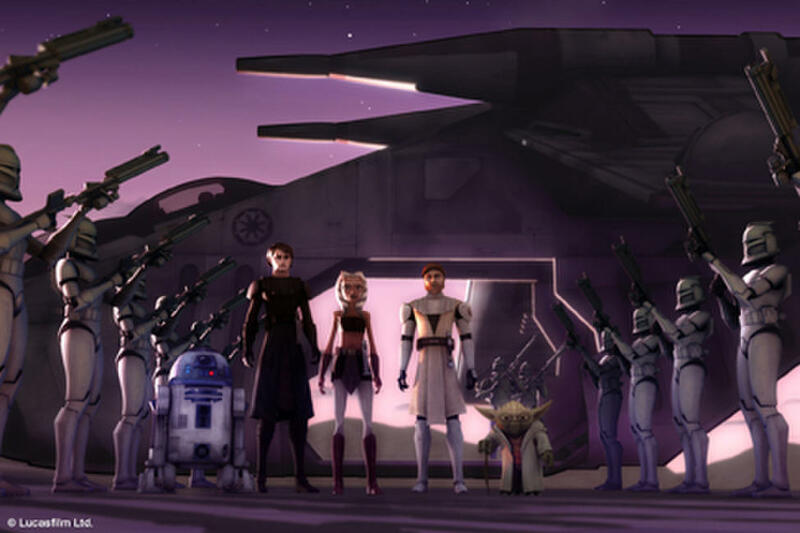 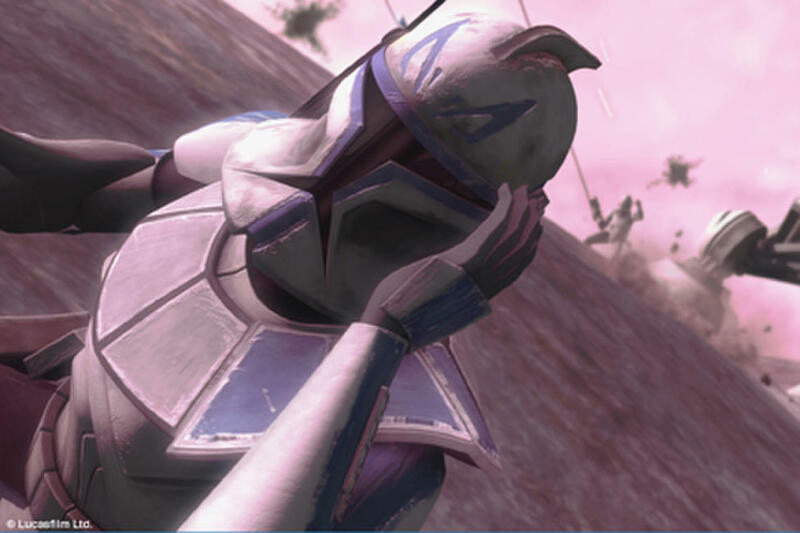 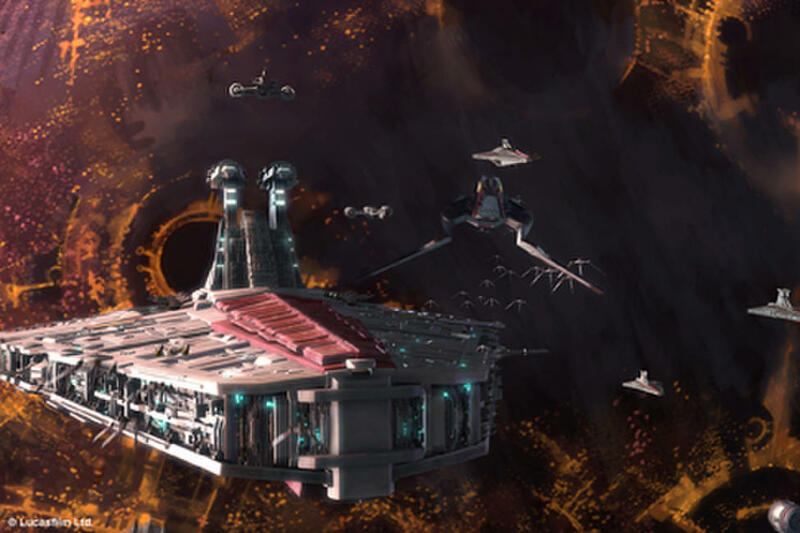 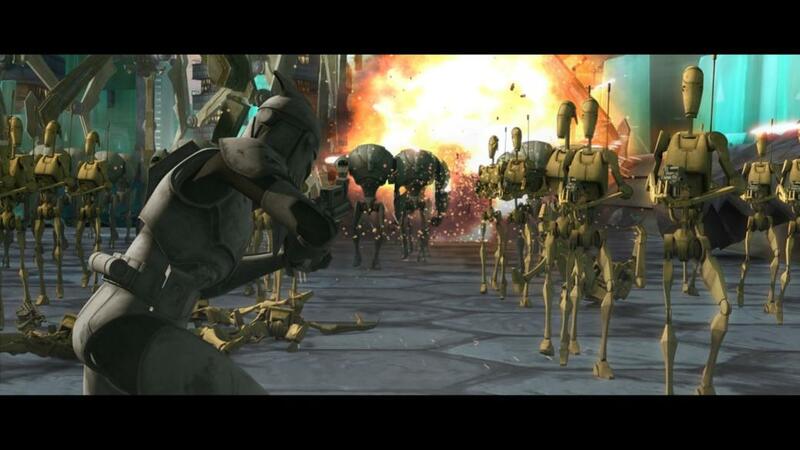 A scene from "Star Wars: The Clone Wars." 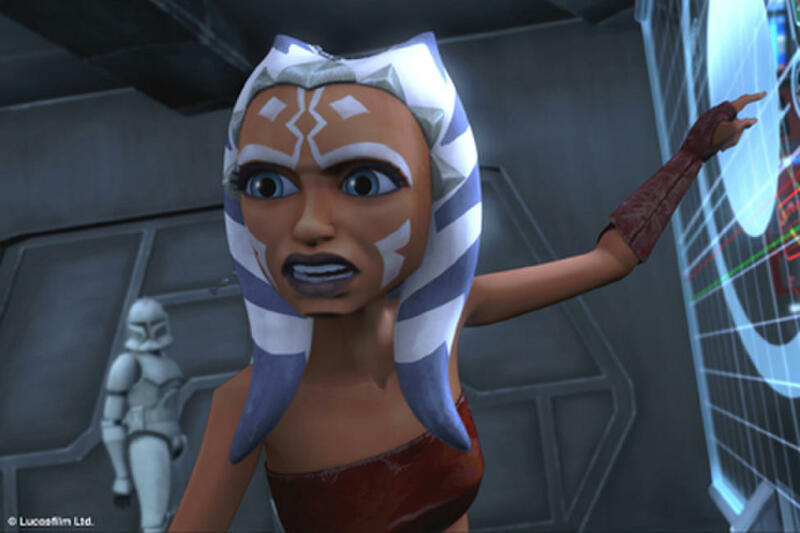 Padawan Ahsoka Tano challenges the Jedi Council's strategy in "Star Wars: The Clone Wars." 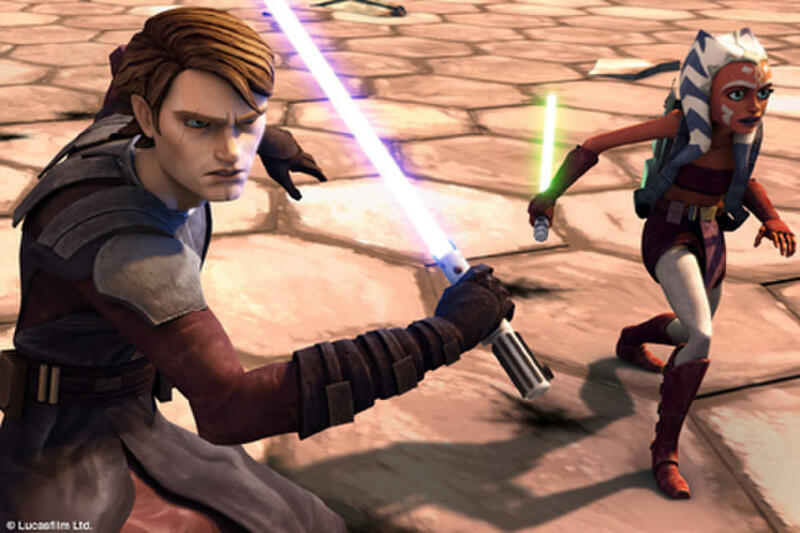 Jedi Knight Anakin Skywalker takes on a padawan learner, Ahsoka Tano, in "Star Wars: The Clone Wars." 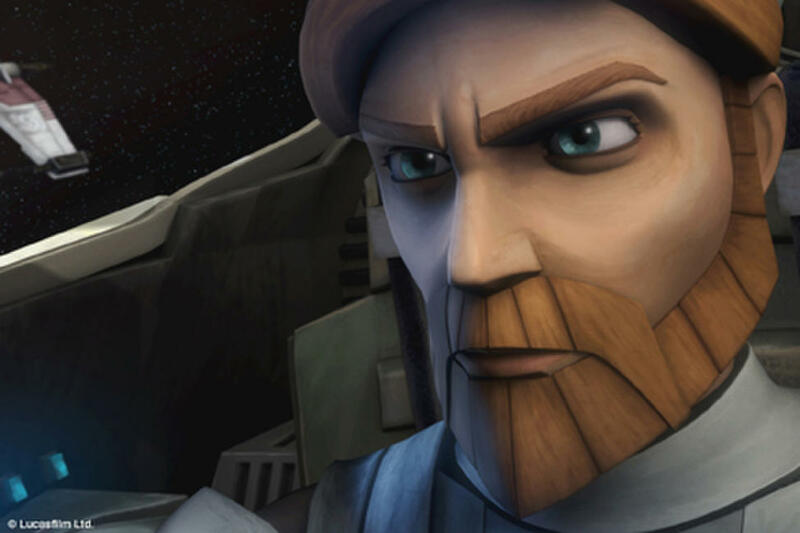 Jedi Knight and Clone Army General Obi-Wan Kenobi in "Star Wars: The Clone Wars." 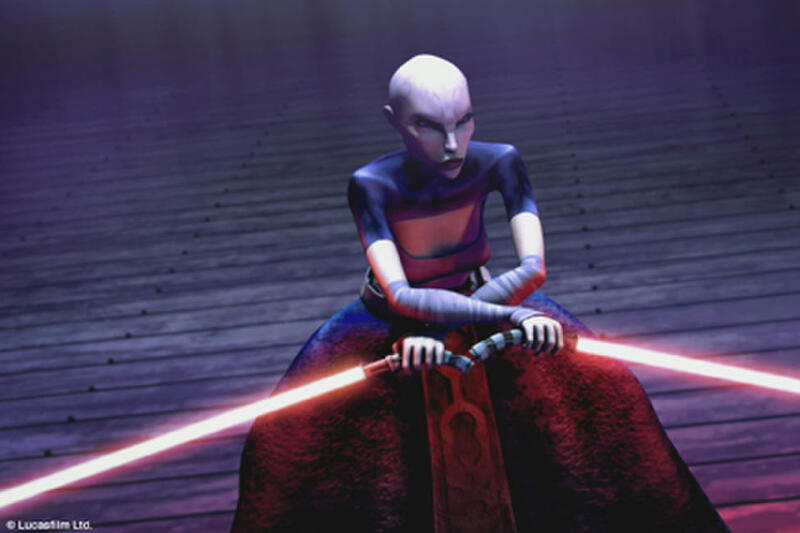 Asajj Ventress in "Star Wars: The Clone Wars." 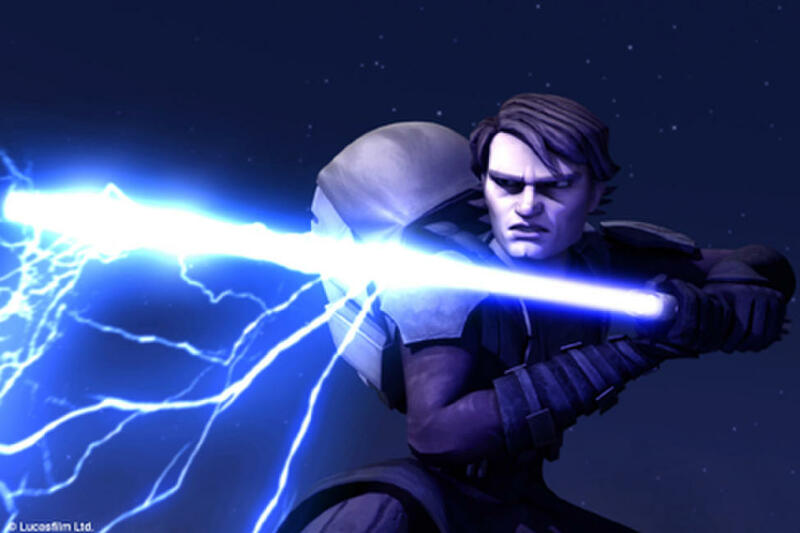 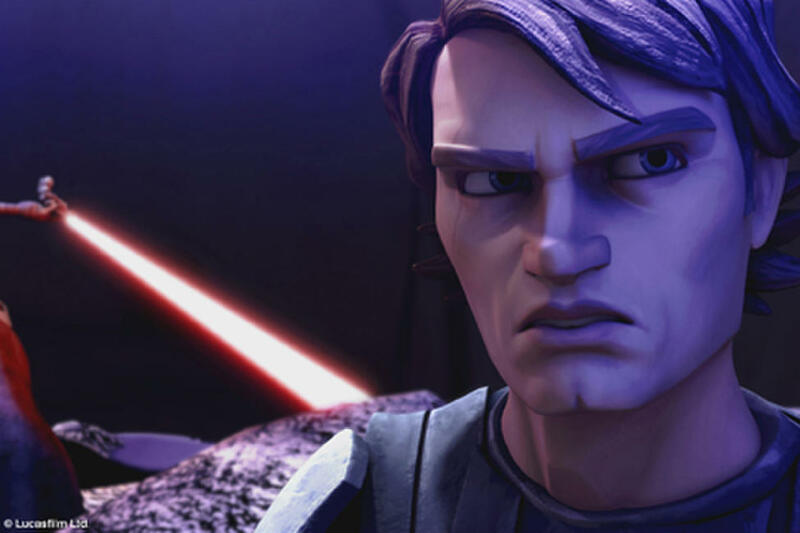 Heroic Anakin Skywalker in "Star Wars: The Clone Wars." 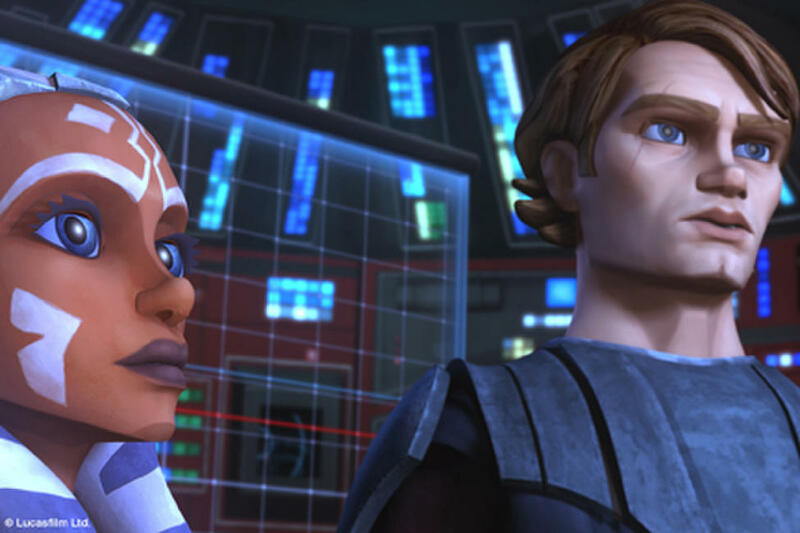 Anakin Skywalker and his new padawan Ahsoka in "Star Wars: The Clone Wars." 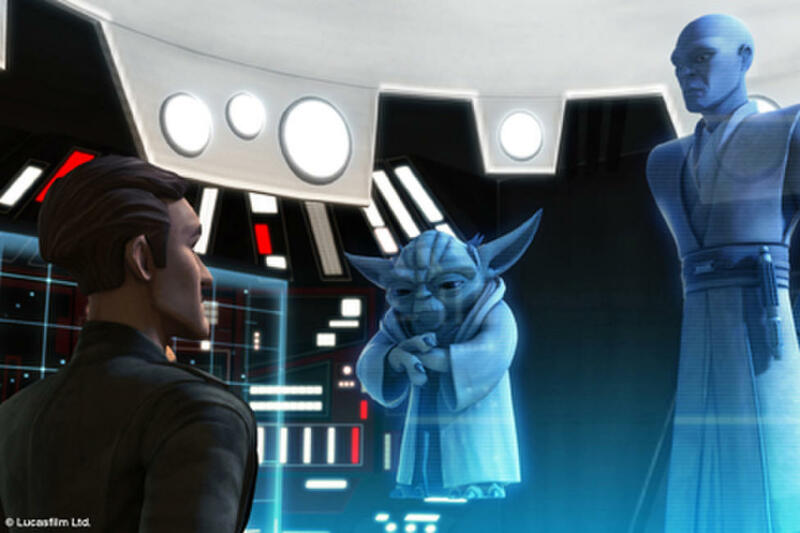 Admiral Yularen, Yoda and Mace Windu in "Star Wars: The Clone Wars." 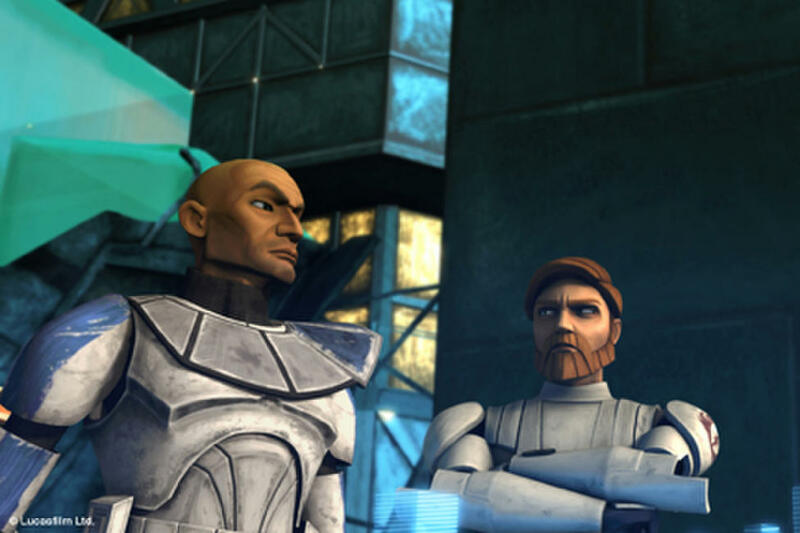 Captain Rex and Obi-Wan Kenobi in "Star Wars: The Clone Wars." 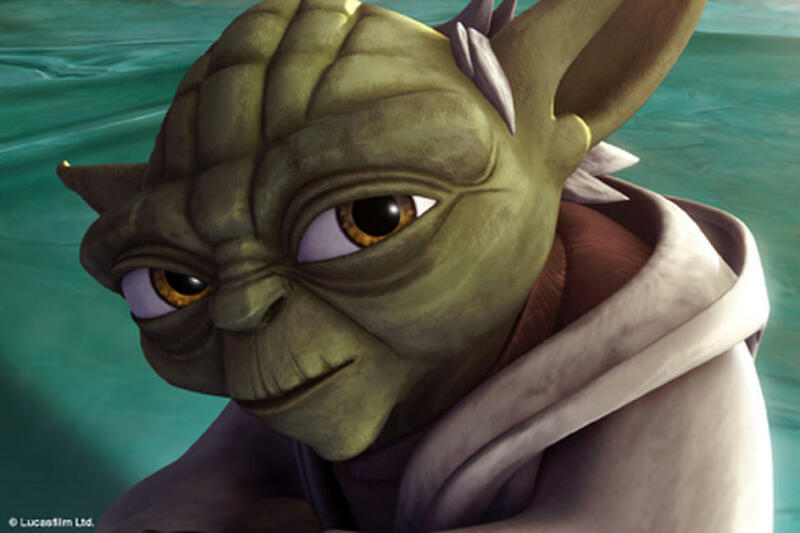 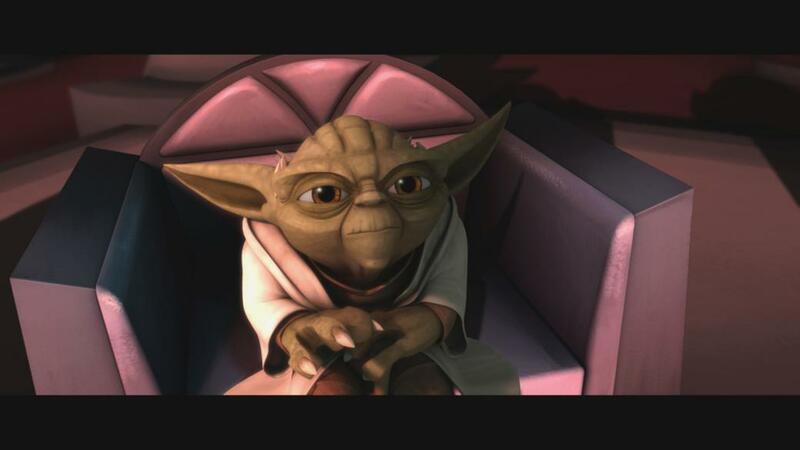 Diminutive but mighty Jedi master Yoda in "Star Wars: The Clone Wars." 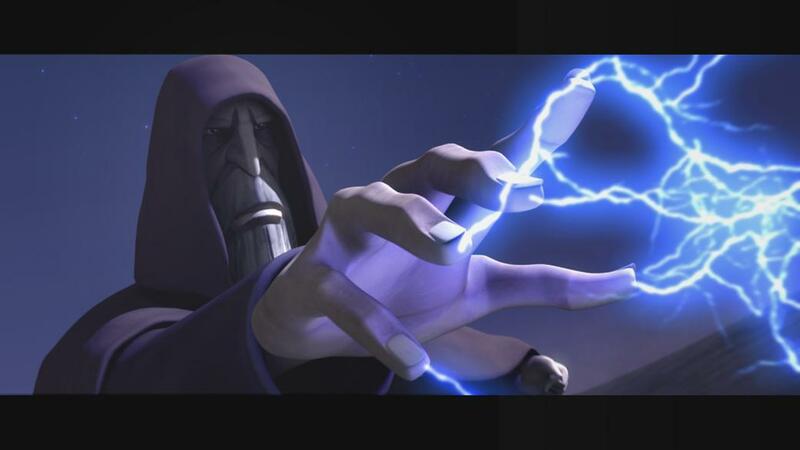 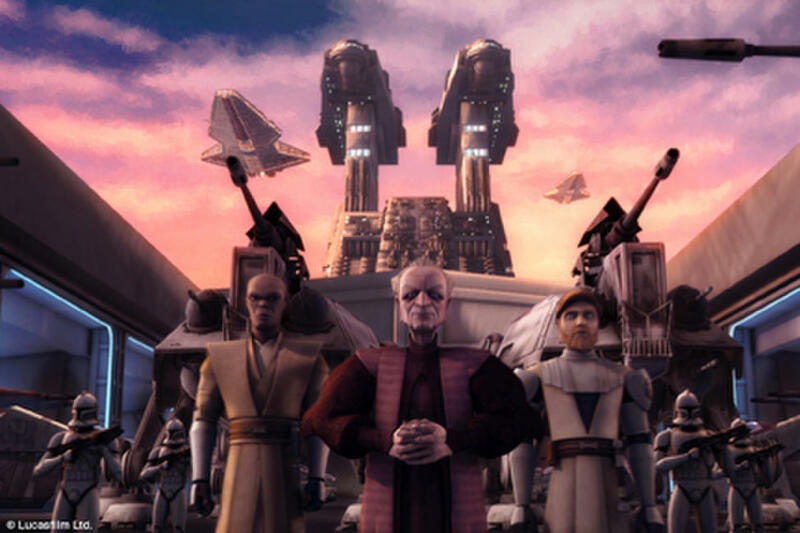 Mace Windu, Obi-Wan Kenobi in tow and Palpatine in "Star Wars: The Clone Wars." 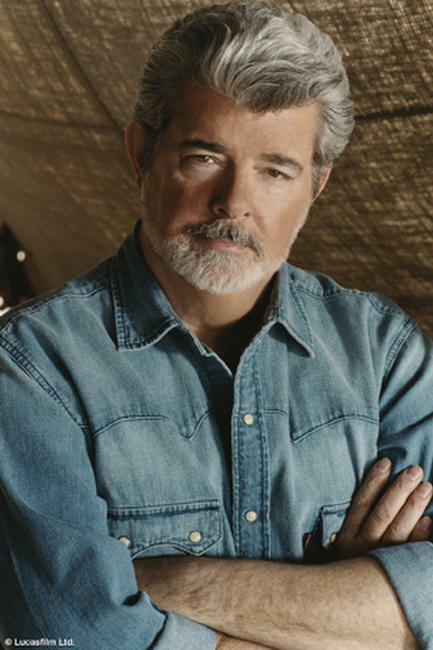 George Lucas on the set of "Star Wars: The Clone Wars." 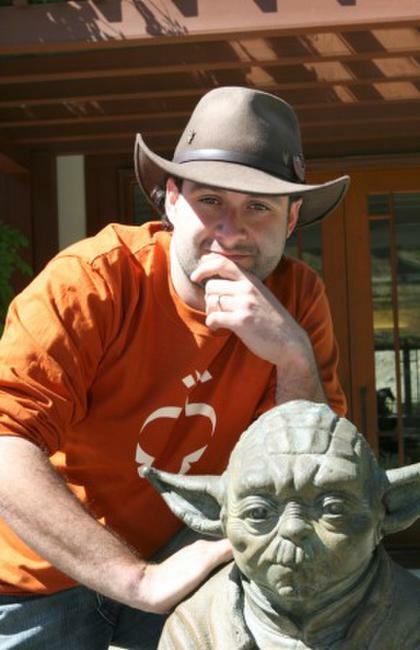 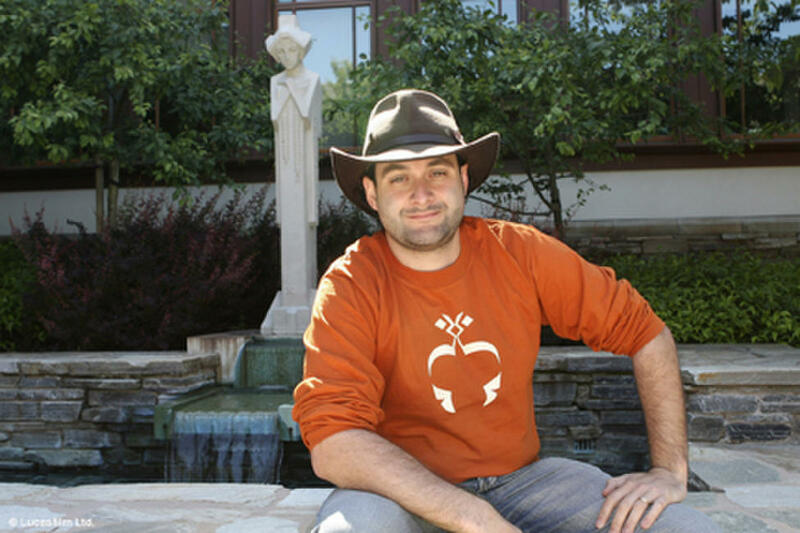 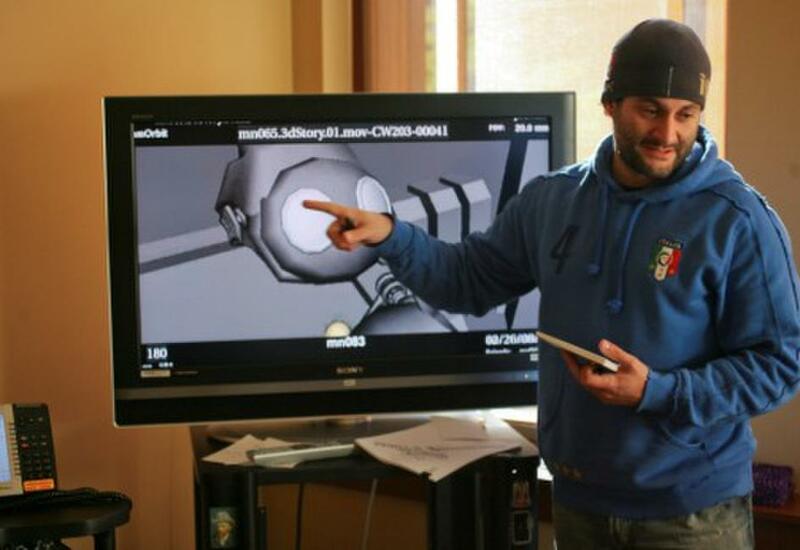 Director Dave Filoni on the set of "Star Wars: The Clone Wars." 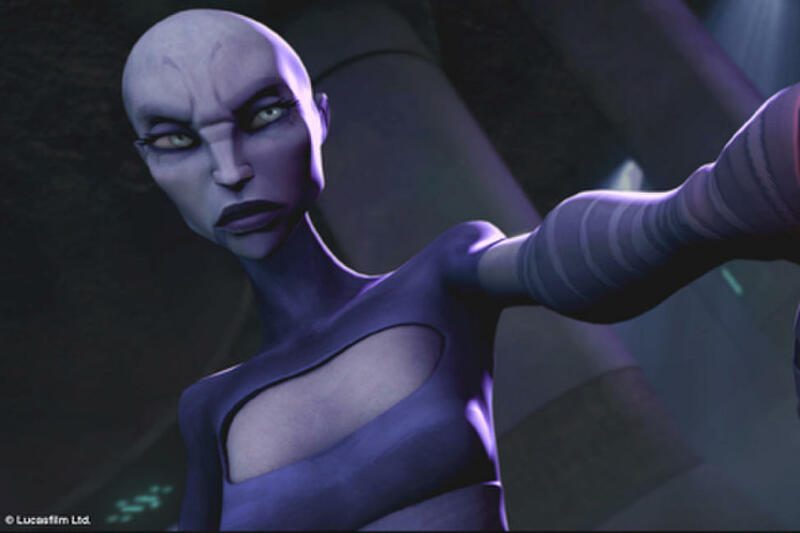 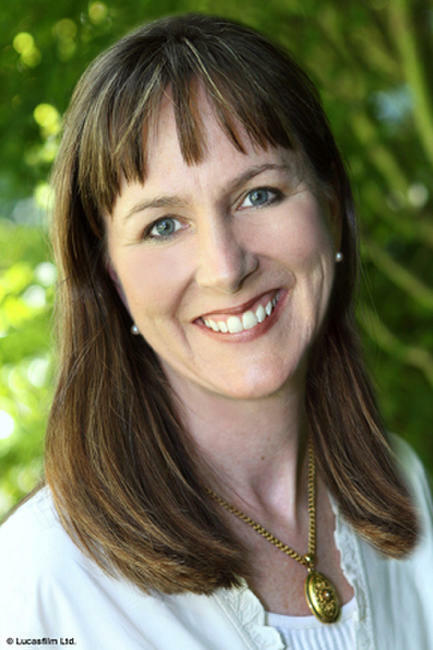 Producer Catherine Winder on the set of "Star Wars: The Clone Wars." 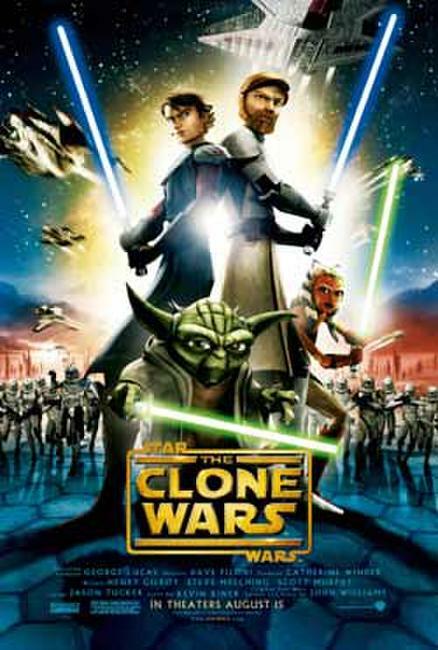 Poster art for "Star Wars: The Clone Wars."